The conference aims to raise awareness of the possibility of early diagnosis of different fetal anomalies. 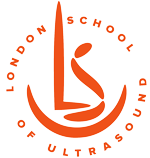 We believe that this scientific and teaching event is essential for every ultrasound and fetal medicine practitioner scanning patients at 11-14 weeks. The list of 100 anomalies, which are currently detectable or potentially detectable at 11-13 weeks. Every anomaly will be presented on video clips or 3D volumes.